Made this a few times for Dinner parties. Easy to make and a nice combination. If you like mushy vegetables this pasta dish is ok. I prefer my broccoli roasted and crunchy, so not my favourite recipe. However, quite tasty from the anchovies and chillies, don‘t skimp on the pine nuts for additional texture. Personally, I like to double the dumpling recipe. Overall ok, but won't repeat. Very salty and very fatty, probably due to the sausages I used. Had to drain the oil from the pan at some point and did not add 3 tbsps of butter. Used dried pasta instead of fresh one to make it weeknight dinner friendly. This is a nice and quick after work dinner, especially you have picky children to feed. (Like many other children, both mine will eat pasta and sausages). The quality of the sausage used make or break this dish. I used a sweet chilli sausage. (If I'm not feeding my children, I'd prefer using a hot smoked paprika sausage). Unlike Astrid, I didn't have problem with oiliness. In fact, I needed to add more oil to the pan after adding the mushrooms. I used dried fusilli, dried thyme and skipped the chilli. I also used standard white button mushrooms. As for the butter, I just added a knob to taste. A brilliant winter warmer. Remember to strain to minimise the windy effects of the artichokes. Do not use as much lemon as Jamie recommends, I did this the first time and ruined the whole thing. I would say halve it and then add more if necessary. I made this without the prosciutto, just pan-fried salmon with the lentils. And it was excellent, The lentils tasted both fresh and earthy and were a great combination with the salmon. Will repeat, possibly also with the prosciutto. Very tasty, but oily. 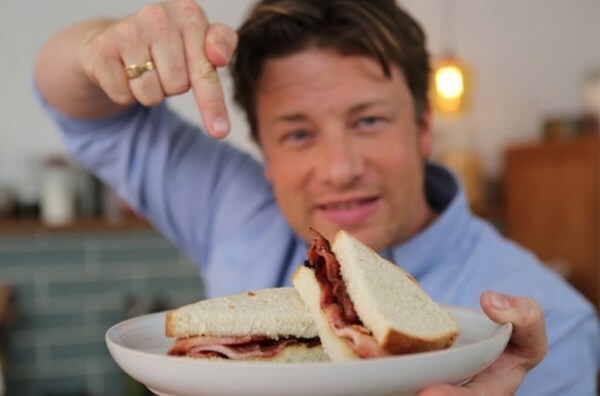 I've had simpler anchovy pasta dishes that are better, the lemon doesn't work quite as well as it does in some of Jamie's other pasta dishes, for example his NYC arrabbiata. 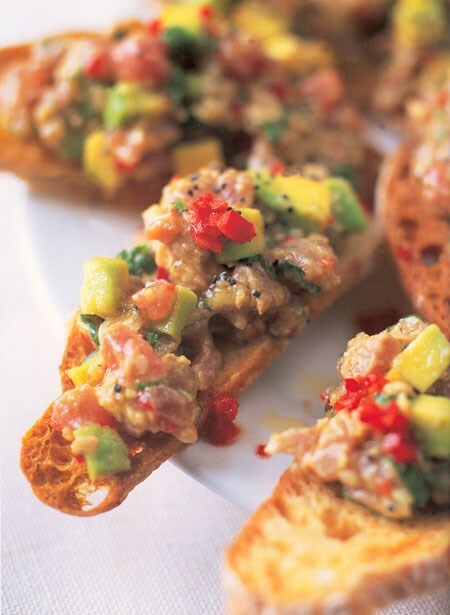 We found this recipe OK but not brilliant - we weren't blown away by the flavours. If I made it again I'd steam the beans for a bit before hand as we didn't feel they were quite cooked enough. This was so easy to put together and took about 30 minutes from start to finish. The longest part was trimming and slicing the beans. When I first tasted it I thought it a touch bland but as I continued to eat, I realized it's all about the simplicity of the flavours - fresh and spring-like. Don't skip the pancetta or pine nuts. I really enjoyed it and think it lends itself to some tweaks. Possibly using asparagus instead of beans, adding some thyme or summer savoury, slicing scallions the same size of the beans to roast along with the beans. I bet it would be very nice with halibut. Looks really good in the picture in the book, but really was just ok. The vegetables took about 1h30mins to cook. (Rather than 45m-1hr) (Perhaps they should be par-boiled a bit first?) The pork was fine. We didn't try the minted bread sauce. 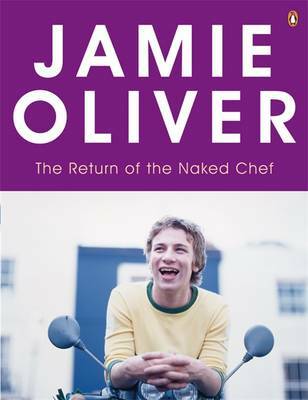 Number one for over five months with "The Naked Chef", the bestselling, brilliant Jamie Oliver is back with a brand-spanking-new book to accompany a second cracking BBC TV series.